Grassland & Muck 2017 will see RDS Technology Ltd exhibiting its extensive range of on-board weighing scales including the WEIGHLOG α10, which has been specifically designed for agricultural loaders. The WEIGHLOG α10 incorporates a 4.3” colour, hi brightness resistive touchscreen display and additional physical keys providing a user-friendly on-board weighing system that can be used for trailer & hopper loading, batch blending or check weighing. Suitable for use with up to 10 different attachments e.g. buckets or forks, the system can be retrofitted onto compact wheeled loaders, telescopic handlers, forklifts, skidsteer type loaders and tractor loaders. The system measures hydraulic pressure using up to 4 sensors at a certain position on the lifting cycle compensating for pressure changes in the system. Enhanced stores capability comprising 30 products, 30 customers and up to 5 different recipes designed around animal feed mixing, dispensing and grain handling enable accurate record keeping and traceability. The system provides communication and data storage via SD card reader and USB 2.0 host allowing quick, safe and efficient uploading and downloading of data. 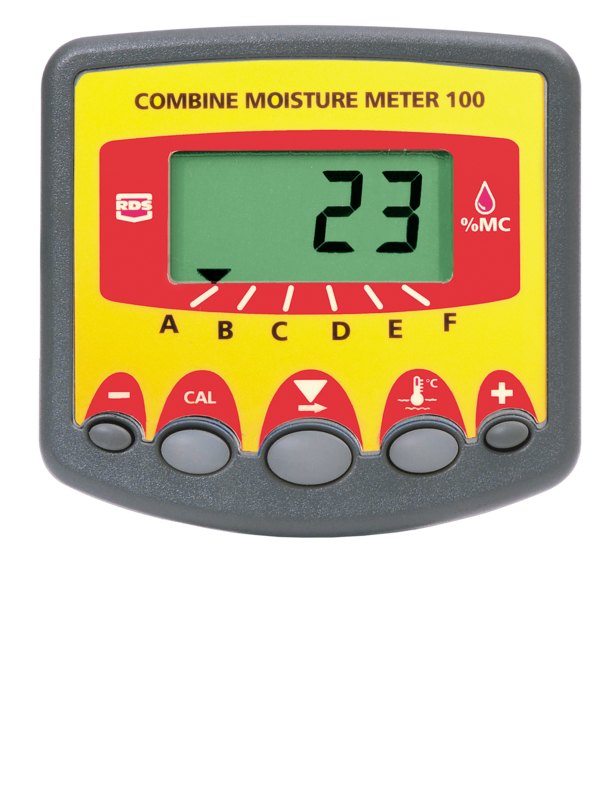 Also on show will be the COMBINE MOISTURE METER 100. 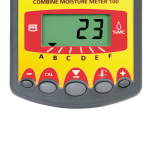 Using the same moisture sensor technology as the renowned RDS Ceres yield monitor, the Combine Moisture Meter 100 is designed to eliminate the need to make regular stops during harvesting to test grain moisture content and helps to quickly identify if conditions are, or are becoming, unsuitable for combining. Monitoring the moisture content of the crop helps to indicate its ripeness, enabling more timely harvesting decisions to be made in the field. Knowing the grain moisture content also allows it to be stored in the optimum location according to drying or cooling requirements. Grasslands & Muck 2017 will also see RDS Technology Ltd exhibiting its wide range of monitoring and measuring instruments for farming applications including the Artemis variable rate seed drill control system, the Ceres 8000i yield monitor system for combines, and the Delta 34i and Spraymaster 200 sprayer regulation and control systems. The NEW LOADMASTER a50 on-board weighing system for larger loaders, designed to supersede the RDS 8kiX, will also be on the stand for anyone wishing to see it. For more information on how RDS can help improve your farming operations – visit us on stand 307, go to www.rdstec.com or call 01453 733300. RDS Technology, (rdstec.com) a Topcon Positioning Group company, supplies over 100 original equipment manufacturers worldwide with custom solutions, as well as supplying standard ‘retro-fit’ products through a network of specialist independent distributors in over 30 countries where customer service is the highest priority. Headquartered in Minchinhampton in the United Kingdom, RDS pioneered the use of electronics for agriculture and continues to lead in other sectors of mobile machinery.